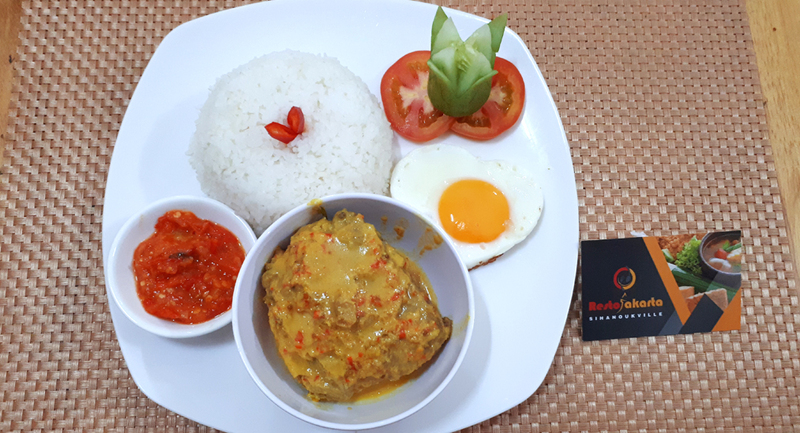 Gulai Ayam (Minangkabau and Indonesian for: “Gulai Chicken”) is a traditional Indonesian dish of chicken cooked in curry-like spicy, rich and succulent yellowish sauce called gulai. It is originally from West Sumatra (Padang). It can be classified as an Indonesian curry. Together with gulai kambing, (goat or mutton gulai), it was the most common and popular variant of gulai.